For IT News Week 2 of Jul 2018. 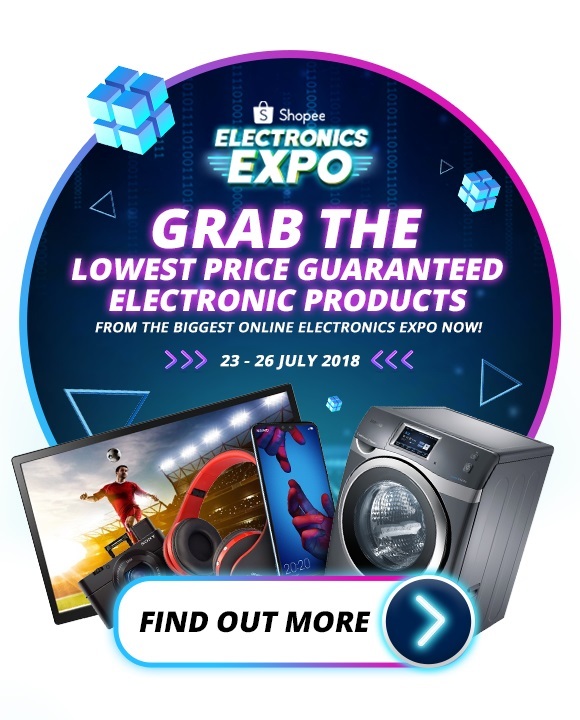 Shopee, the leading e-commerce platform in Southeast Asia and Taiwan will launch the Shopee’s Electronics Expo – Lowest Price Guaranteed (LPG), offering a series of electrifying promotions from 23 to 26 July 2018. HUAWEI today launched the HUAWEI nova 3 and nova 3i, the third-generation of HUAWEI nova range. In pursuit of the best AI selfie camera, HUAWEI has equipped the HUAWEI nova 3 and nova 3i with 24MP cameras; creating a quad-camera powerhouse that revolutionizes the world of AI photography, while featuring a fashionable design that mimics its predecessor, the nova 2 series. After its strong growth in Malaysia, the HUAWEI new nova series now melds elegance and innovative AI together to usher in a new era of smart living. As a product series that is squarely aimed at addressing user pain points in selfie photography and entertainment, the latest HUAWEI nova devices features a wealth of improvements that are made possible by AI. As well as radiating elegance, the HUAWEI nova 3 and nova 3i offer all-new user experiences that ease users into embracing the AI-enhanced life. The HUAWEI nova 3 and nova 3i will be available in Malaysia starting 28 July 2018. Retailing at the attractive prices of RM1,899 and RM1,249 for nova 3 and nova 3i respectively, both devices can be purchased at all HUAWEI Experience Stores, display zones, authorized dealers and major telco companies. 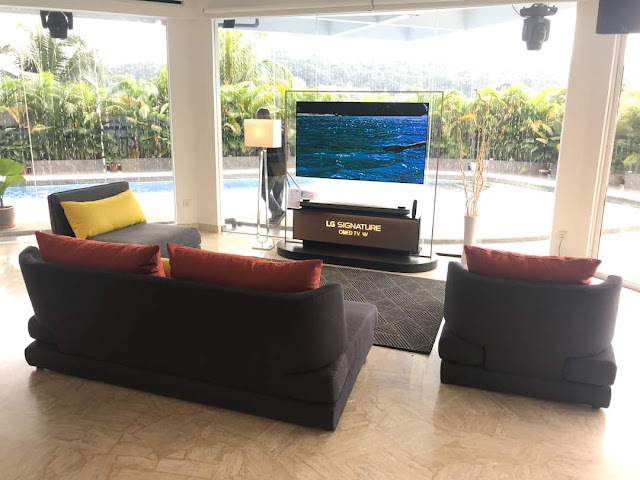 LG Electronics Malaysia today hosted a premier product showcase from its line-up of products in the new product introduction, themed “Create a Better Life”. The range of products included its signature and award-winning OLED TVs, Super UHD TV, InstaView™ Refrigerators and TWINWash™ washing machine. Workday, Inc. (NASDAQ: WDAY), a leader in enterprise cloud applications for finance and human resources, today released the results of a new global survey, “Finance Redefined,” which reveals that efforts to digitally transform the finance function have not advanced enough, requiring finance leaders to redefine their approach to resilience, intelligence, leadership, and talent, in order to become more analytical and innovative. The research shows that to reach its true potential, finance needs to invest in the people and capabilities required to deliver strategic insight to drive decision making. Yet, the findings indicate that many corporate finance functions are unable to deliver this insight due to difficulty integrating finance and non-finance data, lack of relevant skills within finance teams, and ineffective collaboration among C-suite peers on data-driven decision making. The corporate finance survey was done in partnership with Longitude Research and includes responses from more than 670 finance leaders across the Americas, Europe, Asia Pacific, and South Africa. Key survey findings within the four areas of resilience, intelligence, leadership, and talent. Barracuda Networks, Inc., a leading provider of cloud-enabled security and data protection solutions, today announced that the Barracuda Web Application Firewall (WAF) has been named a Strong Performer in “The Forrester Wave™: Web Application Firewalls, Q2 2018.” The Barracuda WAF was specifically cited for offering “sound attack response and feedback loops.”1 which makes sense given our unique ability to seamlessly automate the patching process for a continuously robust security posture. Cognizant has been selected by Bank Julius Baer, the leading Swiss private banking group, to power current and future business growth. The initiative is part of the bank’s most expansive digital transformation programme to date, and will enable Julius Baer to increase its service offerings and customer reach, while significantly reducing go-to-market time for new launches. Uniquely, the digital transformation has kicked off from the Asia Pacific region, and later expanded to other regions. Cognizant’s robust global financial services heritage and deep digital expertise complements Bank Julius Baer’s vision of becoming more agile in the age of digital disruption. A process of reimagination was crucial in updating the bank’s legacy IT technology and processes to seize the business benefits of digitalisation. Savour mooncakes with your loved ones while supporting a good cause this Mid-Autumn festival. The National Kidney Foundation (NKF) Malaysia is partnering with Oversea again this year for the annual mooncakes charity project. All proceeds from this initiative will be channelled to NKF in aid of our poor kidney failure patients. The proceeds from the mooncakes sales will be funneled towards the treatment and support of underprivileged dialysis patients, as well as funding NKF’s constant efforts to educate the public about kidney disease. Financial Services Information Sharing and Analysis Center (FS-ISAC), and the Cyber Security Agency of Singapore (CSA) announced today the signing of a Memorandum of Understanding (MoU) to advance security threat intelligence sharing and to conduct joint exercises to protect the financial services sector. The MoU was signed at FS-ISAC’s annual Asia Pacific Summit in Singapore where security leaders from across the financial services sector gathered to solve cyber and physical security threats facing Singapore and the broader region. Going small can lead to big things, and Dell has purpose-built these new entry-level workstations to fuel the future of innovation across engineering design, science, mathematics and other data and graphics intensive fields. Having a highly powerful machine no longer requires having a large work space or a large budget, making this level of performance available to many companies and workers for the first time. According to Kaspersky Lab, 42 million attack attempts on mobile devices were registered in 2017.
Business today therefore need to not only manage corporate mobility, but also make sure that devices and the sensitive data stored on them are secured from advanced threats in real time. To help customers meet this challenge, Kaspersky Lab has updated Kaspersky Security for Mobile – its Mobile Threat Defense solution that provides control, visibility and corporate data security on Android and iOS devices. 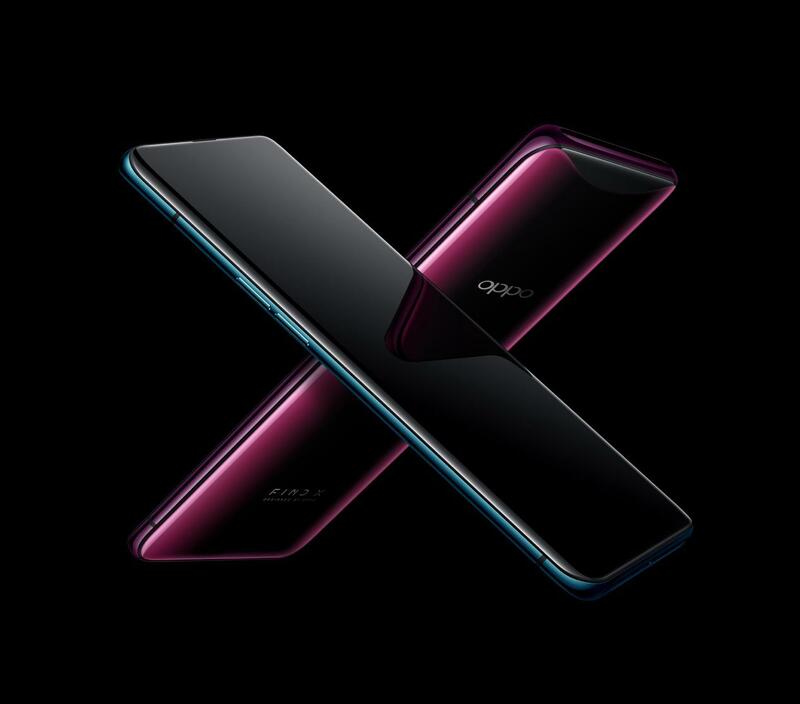 Leading global smartphone brand OPPO today launched the OPPO Find X at Setia City Convention Centre, Malaysia. With panoramic design, Find X forges a new path as the elegant look and feel expresses the “beauty of nature” combining serenity and vitality. Find X achieves a refined silhouette thanks to the hole-less front and rear design as well as smoothly inlaid 3D glass on the edge. Find X is stylish to look and is comfortable in your hand. OPPO is always exploring how to use AI to improve user experience. Based on Android 8.1, OPPO ColorOS 5.1 is deeply integrated with the AI engine of the Snapdragon 845 mobile platform. The AI capability of this arrangement helps ColorOS 5.1 understand user needs better than ever before. HUAWEI, the top global tech giant, has introduced its first official e-commerce platform in efforts to allow fans and customers the convenience to access detailed product information and purchase the HUAWEI product of their choice with just one touch. The new official e-commerce platform will house and incorporate the product information website on all HUAWEI’s state-of-the-art gadgets and devices under the same site. This will formulate a new online ecosystem for HUAWEI and its consumers, as information on all innovative products by the tech giant will be easily accessible and is within the fingertips of its customers when they purchase the product of their choice. It also guarantees a safe, reliable and secure transaction for all purchases and customers can be rest-assured with a peace of mind when purchasing items on the official e-commerce site. In addition, to ease customers in their e-shopping activities, previous Vmall users who have registered for a Vmall ID in the past can now utilise the same ID to log in to HUAWEI’s e-commerce store to purchase their ideal HUAWEI products.